Lamar Odom has publicly congratulated his ex-wife Khloe Kardashian on her reported 'pregnancy'. The former basketball star, 37 - whose divorce from the reality star, 33, was finalized in December 2016 - wished his former flame well during an interview on YouTube's Complex News Channel's morning show, Everyday Struggle, on Wednesday. 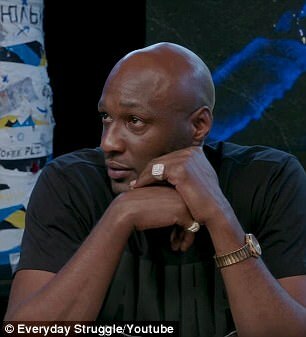 Odom told hosts Joe Budden, DJ Akademiks and Nadeska Alexis: 'From a distance, I wish her well. I've still got love for her'. Good times: Lamar Odom has publicly congratulated his ex-wife Khloe Kardashian on her reported 'pregnancy' (pictured in May 2012). Khloe is said to be 'four months along in her pregnancy' with her first child with Cleveland Cavaliers star Tristan Thompson, 26, according to Us Weekly. 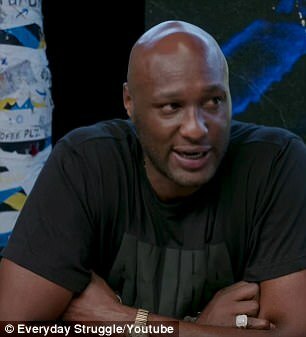 Lamar - who was married to Khloe for four years - also spoke about the stress of receiving so much media attention while married to the Keeping Up With The Kardashians star. 'Some of the sh*t I did to myself… but yeah, it was a little smearing campaign I think going on,' he shared. The former sportsman addressed drifting apart from ex brother-in-law Kanye West, 40, who is married to Khloe's sister Kim, 36. 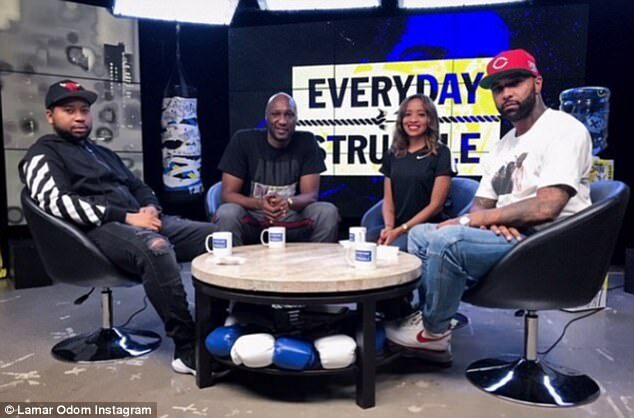 No hard feelings: The former basketball star, 37, wished his former flame well during an interview on YouTube's Complex's morning show, Everyday Struggle , on Wednesday. The ex-Lakers star looked fit and well when he left his hotel in New York's Midtown on Tuesday evening. 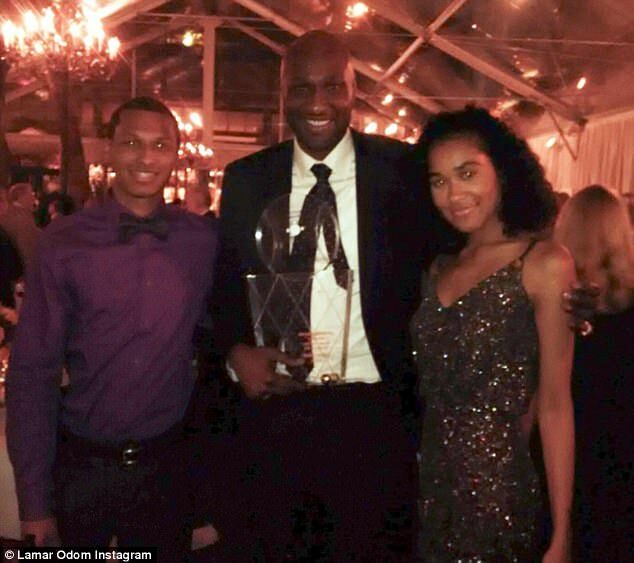 Lamar - who raises Destiny, 19, and Lamar Jr., 16, with ex partner, Liza Morales - was on his way to the Bryant Park Grill for his induction into the NYC Basketball Hall of Fame. The athlete was followed by a gaggle of admirers, who took a few selfies with the former athlete. Khloe and Lamar's four-year marriage was a disaster. They walked down the aisle in Beverly Hills in 2009 just one month after meeting, only for her to see him get pulled into the drug scene and cheat on her flagrantly for years until she left him in 2013. Back to health: The ex-Lakers star looked fit and well when he left his hotel in New York's Midtown on Tuesday evening. 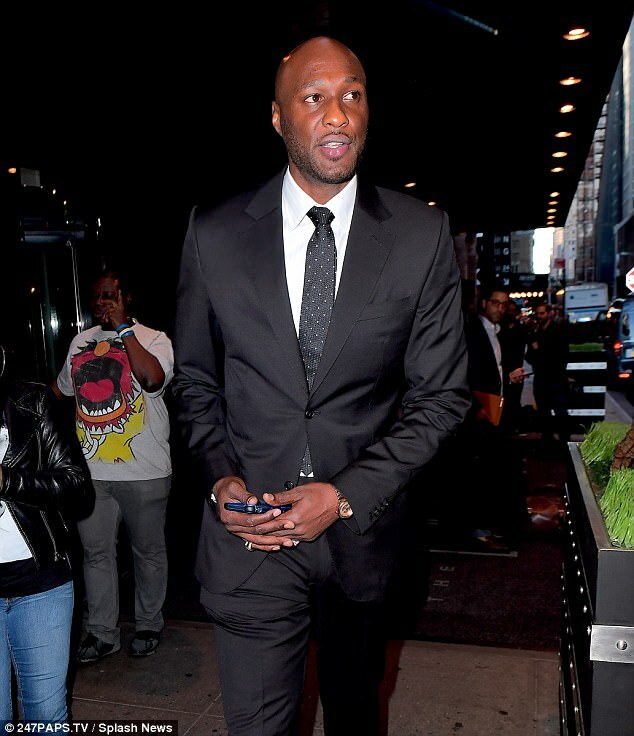 Suited up: Lamar was on his way to the Bryant Park Grill for his induction into the NYC Basketball Hall of Fame. In 2015 he almost died from a drug overdose when he was in a Nevada brothel. She took care of him and the two seemed to rekindle their romance, but then he was seen drinking again in April 2016. 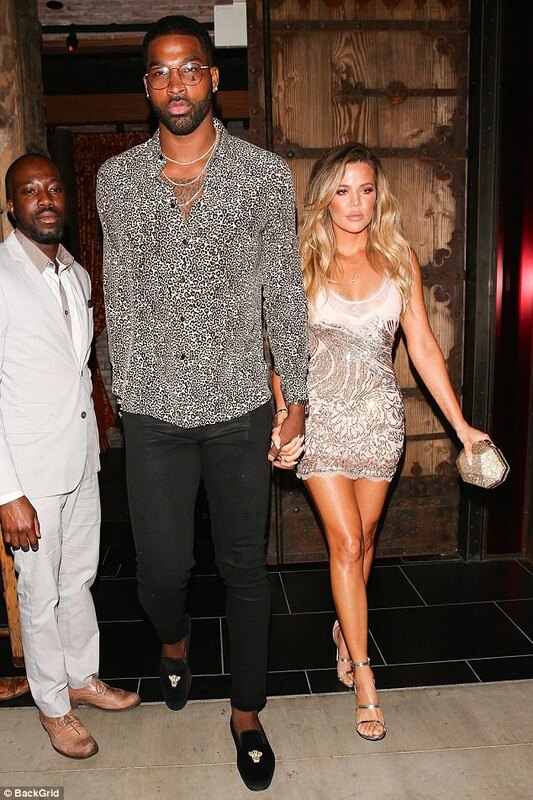 Khloe then ended things for good, divorcing the former Sixth Man player by the end of the 2016. Khloe's baby news came to light last week, making her the third Kardashian-Jenner sister to be expecting. Youngest sibling, Kylie Jenner, 20, is pregnant with her first child with rapper boyfriend, Travis Scott, 25. Kim and Kanye - already parents to daughter North, four, and son Saint, 21 months - will welcome a baby girl via surrogate in January. New honor: On Tuesday evening, Lamar posted this Instagram with his kids, Destiny, 19, and Lamar Jr., 16, with ex partner, Liza Morales.